Combining skills covered in steps one and two it’s time to test your compact swing mechanics with Laser Blast drills, making contact closer to your body; preparing you for the best “flame throwing” pitchers in your league. Drill: “Laser Blast” side-toss, front-toss, tee, or BP. Minimize movement for LASER Blast drills to isolate your core power. 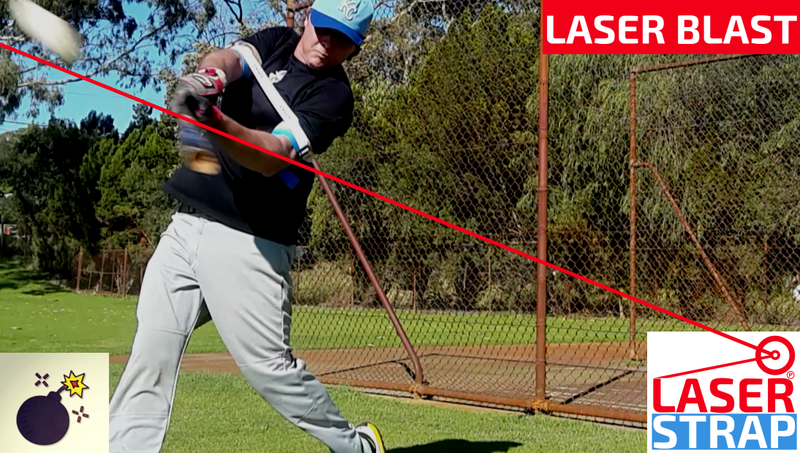 Avoid unnaturally lifting the bat post contact, as you’ll knock your head off the ball, for deep contact zones we recommend to use a short and flat swing plane (the high contact zone provides the lift for you). Avoid releasing your top hand with deep contact zones as it becomes virtually impossible to hit this pitch if you do. If you’ve always used a top-hand release swing, use this as an isolation drill for deeper contact situations. You can revert to this technique when facing hard-throwing pitchers (where you’ve limited time to react) and when batting with 2-strikes.